As the Summer Surprise Offer from Reliance Jio is ended, it is time to make an another recharge. 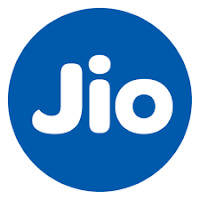 Below is listed ways to get cashback or discount on recharging your Jio number. a) For New User: If you download Phone Pe app for the 1st time and make a transaction for the 1st time you can get a maximum of ₹100 cashback. b) For Old User: If you have already downloaded Phone Pe app and used it then you will get cashback of ₹75 for the 1st Jio recharge ₹50 for the 2nd Jio recharge and ₹25 for your 3rd Jio recharge also, you'll get much cashback & offers on using Phone Pe app. Here you will get different types of cashback depending upon your recharge, here not only you will get cashbacks on JIO but will also get cashbacks on the carrier also. Now you get flat ₹ 99 cash back on your Jio Recharge on Amazon India website. This offer is applicable on recharges of ₹309 and above only. It is valid only on your first prepaid recharge on Amazon.in with Amazon Pay balance. You can avail the offer from August 14, 2017, to August 19, 2017, and the cash back will be credited as Amazon Pay balance within 7 days of doing the recharge. You will also get 20%cash back up to ₹20 on subsequent recharges on Amazon.in. However, total cash back a customer can avail under this offer is ₹300. To know More About terms & condition visit HERE. MobiKwik is also offering cashbacks on Jio recharges. Cashback of ₹59 is offered on Jio ₹399 plan (code: JIOMBK), and new users who have never recharged on MobiKwik can use the code NEWJIO and get flat ₹159 cashback for their first recharge. Both these cashbacks are offered on the new ₹ 399 plan only. Put referral code " K5GZ6U " to get ₹50 when you load ₹20 to your Mobikwik wallet. Reliance Jio is offering a cash back of ₹76 on a recharge of ₹300 or above with Paytm. Reliance Jio users can head over to Paytm app to get the recharge done. Open Paytm app and click on ‘Mobile Prepaid’ or ‘Mobile Postpaid’. If you recharge you Jio number via this app you will get ₹50 cashback.This ₹50 will be directly credited to your bank a/c. IMPORTANT NOTE- All apps are tried & tested by us, if you do not get cashback it will not be our fault, Please contact respective app's customer care.